Description for this Autocad block : Autocad drawing of The Smith House exterior perspective two, these autocad blocks are in dwg and dxf format, free Download. This external perspective look from above. Is a work of modern architecture designed by the architect Richard Meier. 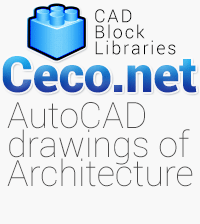 Tags for this category : autocad, blocks, drawings, dwg, dxf, architect, architectural, architecture, blueprint, builder, building, business, calculation, calculator, civil, client, concept, construction, contractor, design, designer, designing, desk, detail, diagram, cad, cad-cam.